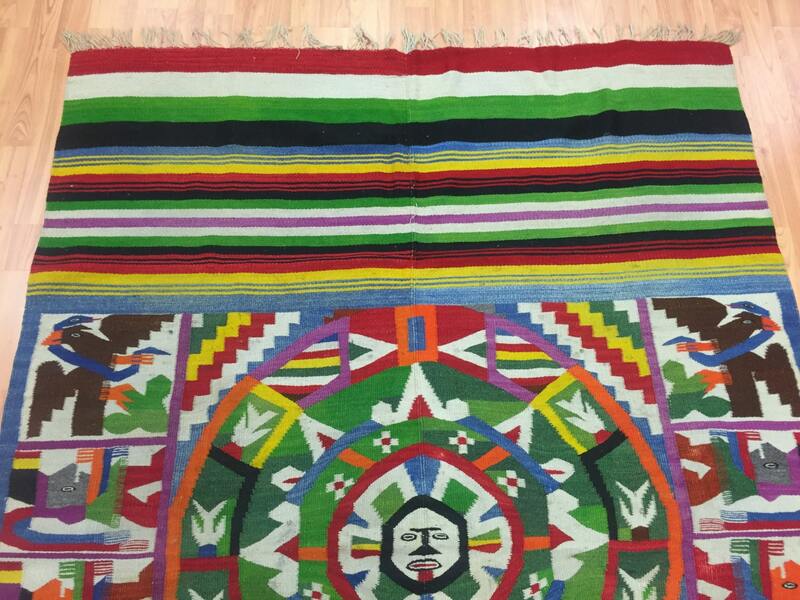 Actual Size: 4'8" x 6'8"
This beautiful rug is a 4'8" x 6'8" traditional Mexican flat weave, circa 1960s. 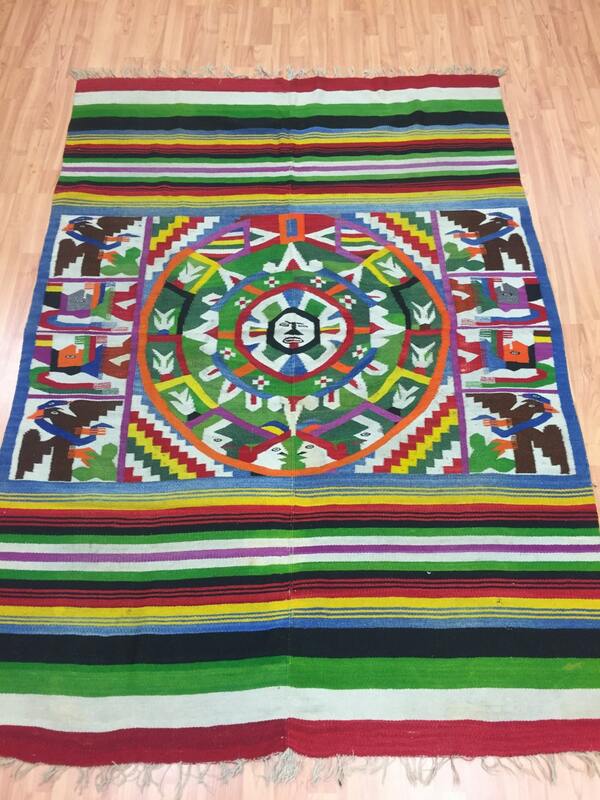 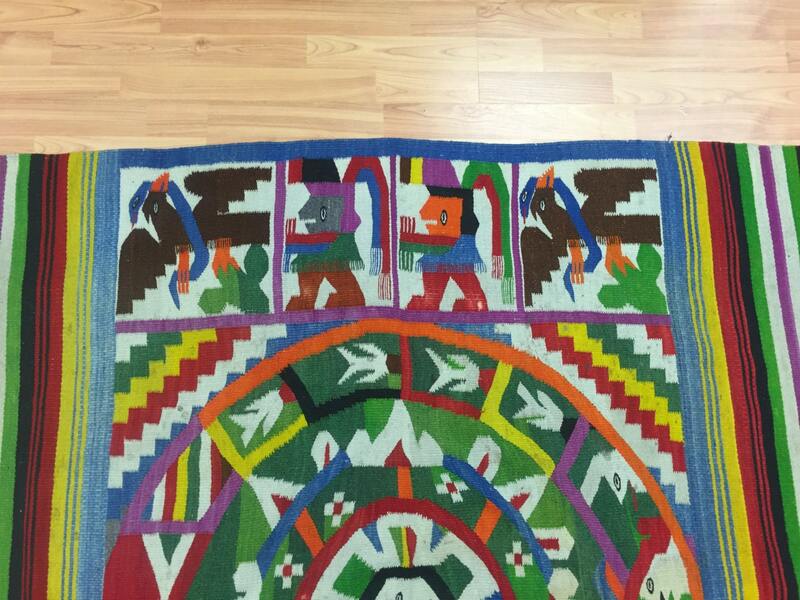 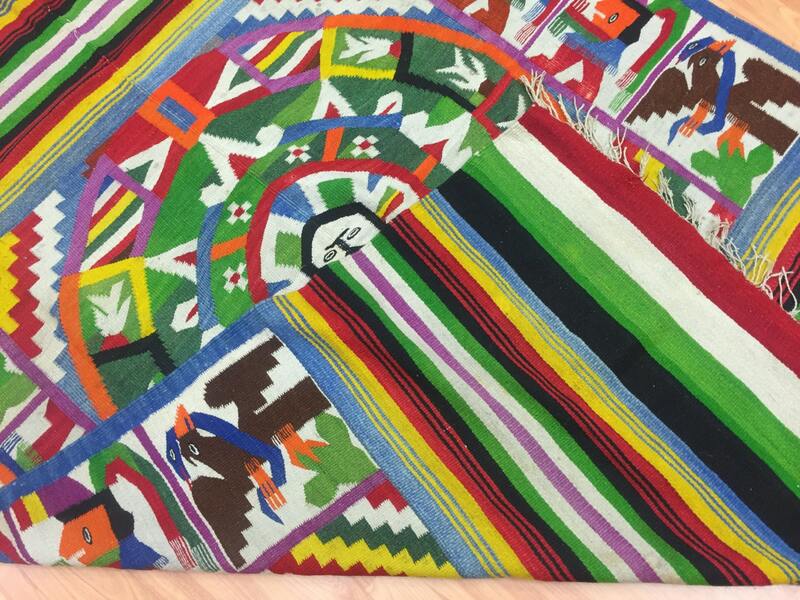 This 50 year old hand made Mexican rug is made with 100% wool and is in good condition. 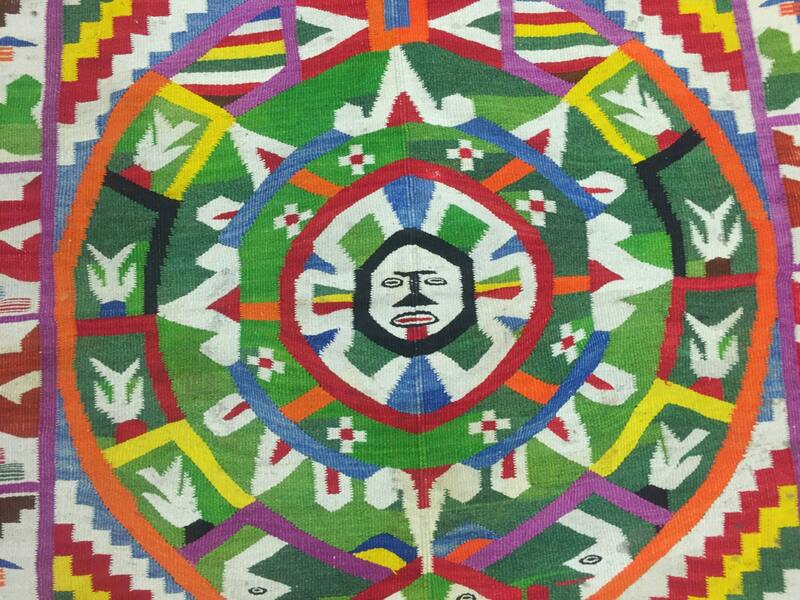 This rug may need a wash.